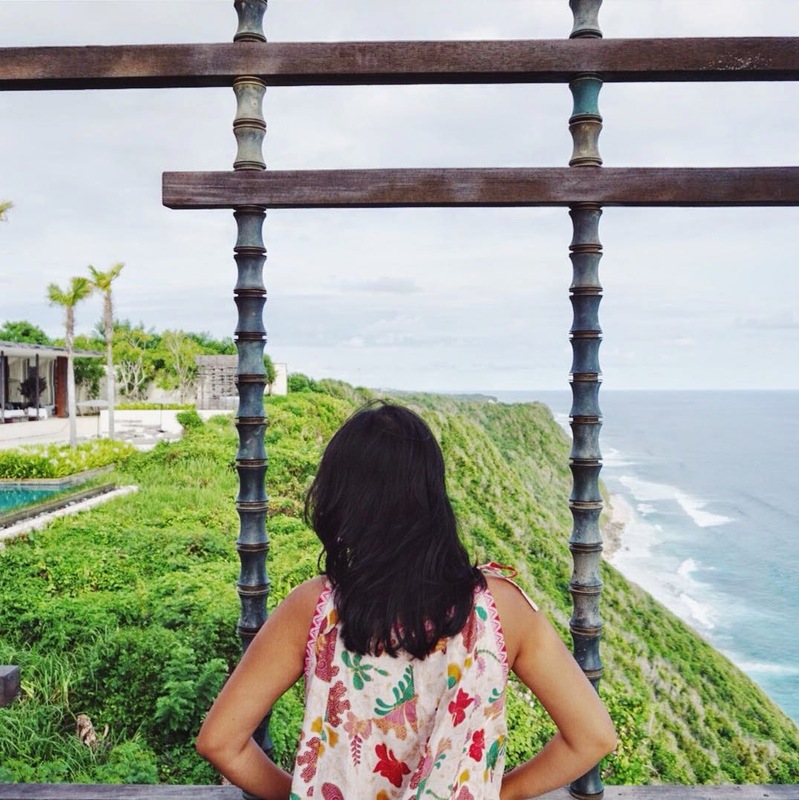 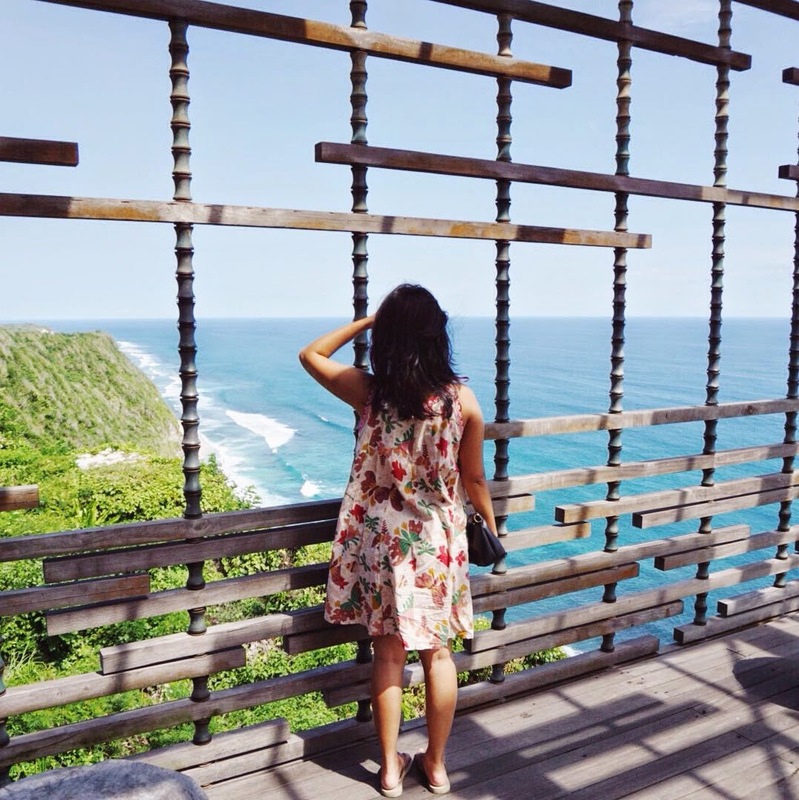 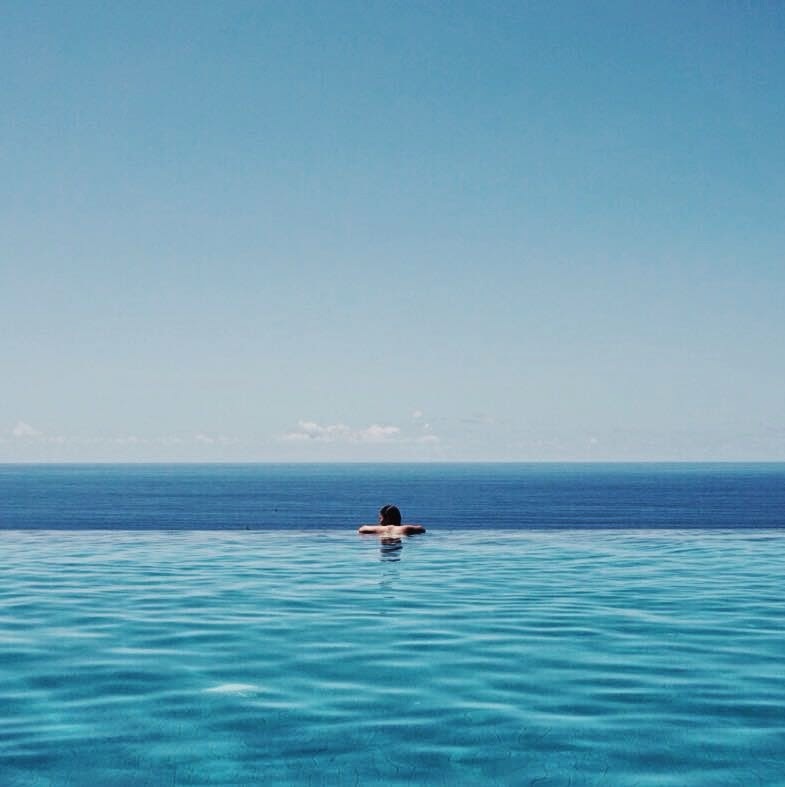 As one of Bali most luxurious eco-friendly resort, Alila Villas Uluwatu is located on a clifftop panoramic plateau along the southern coastline of Bali. 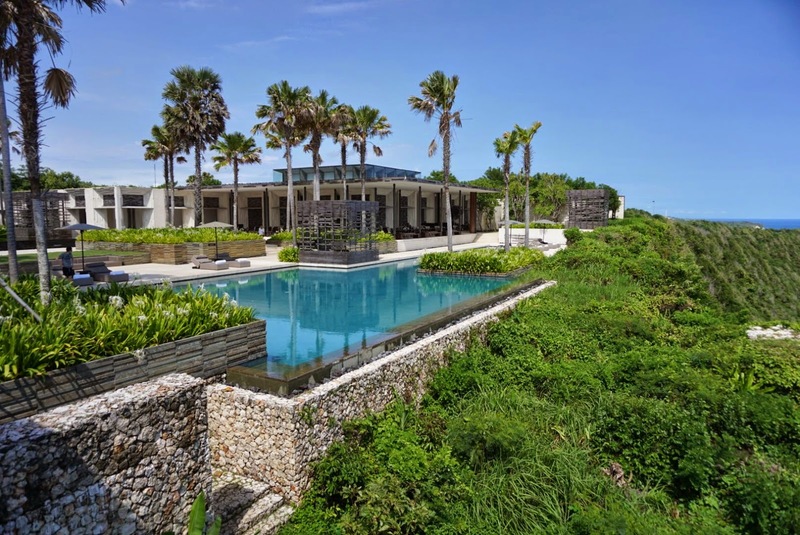 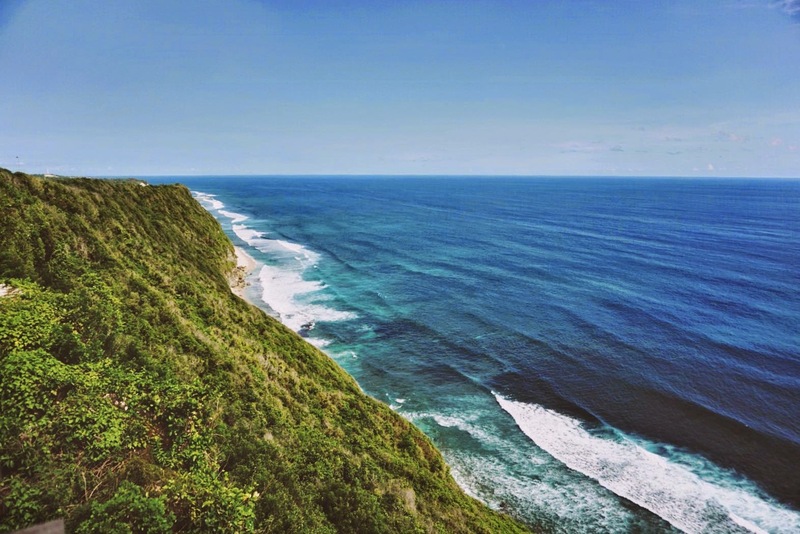 One hundred meters above the Indian Ocean, set upon a limestone cliff. 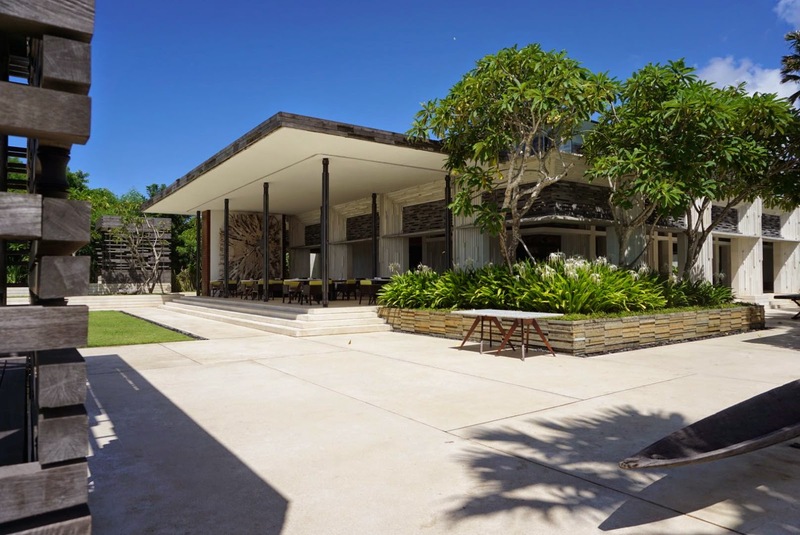 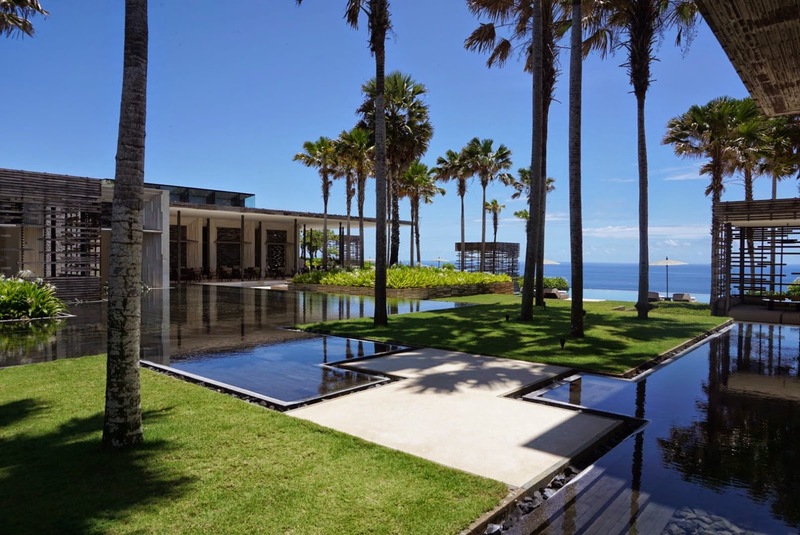 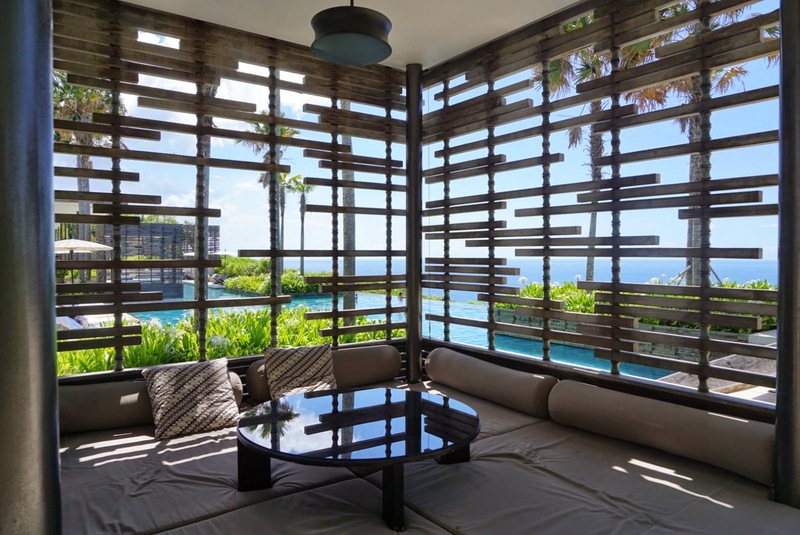 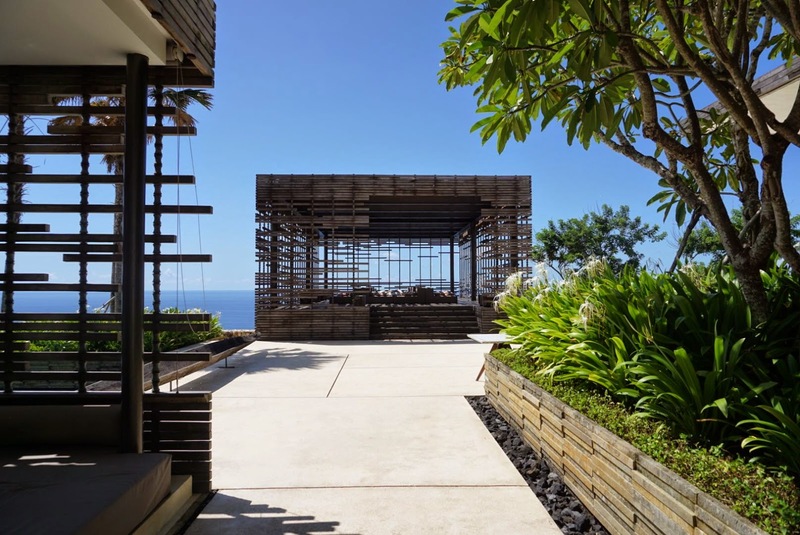 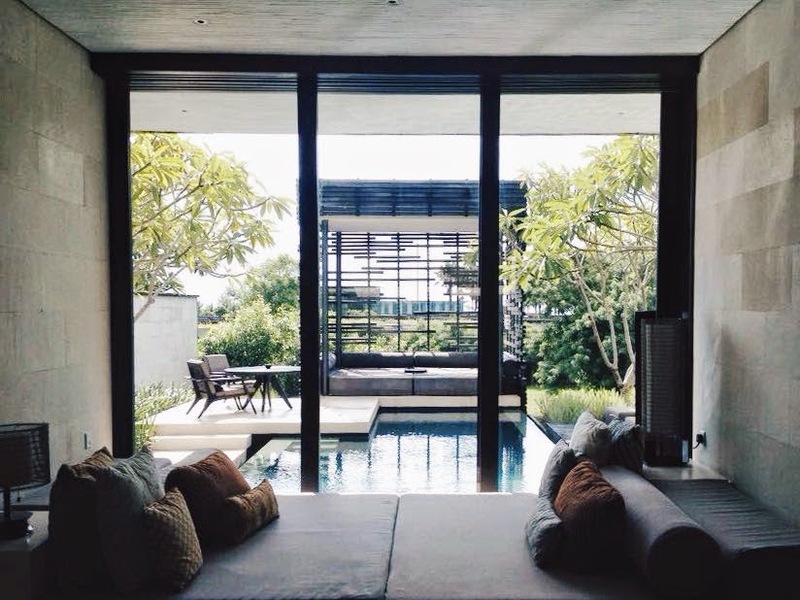 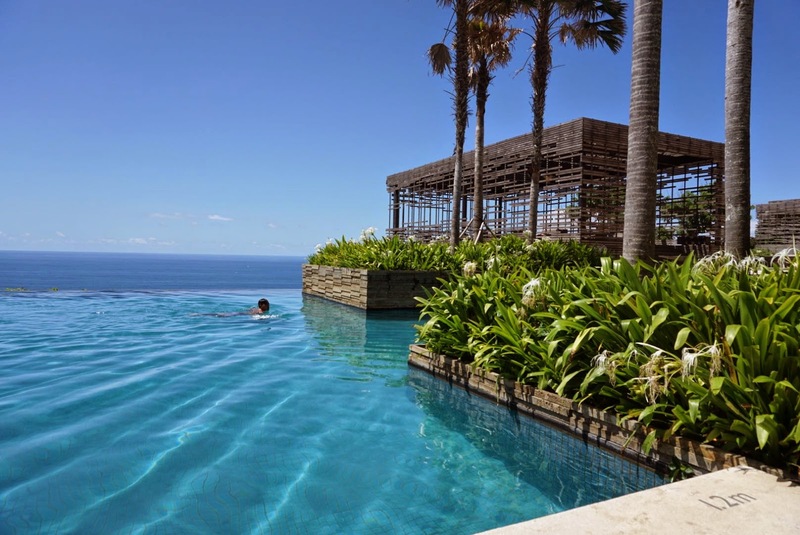 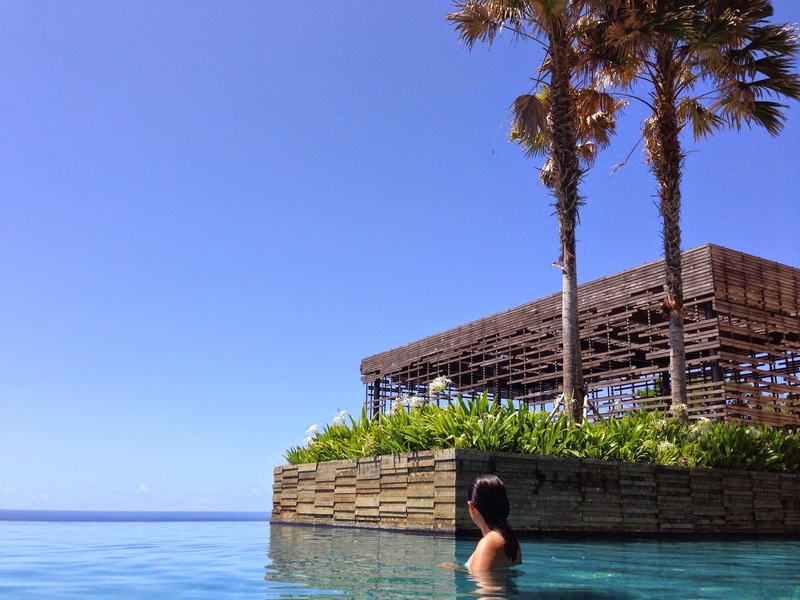 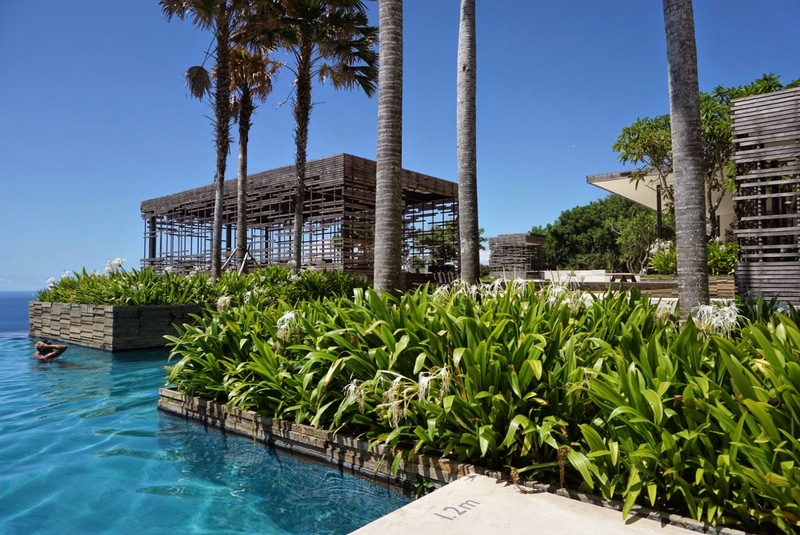 Alila Villas Uluwatu is designed by the award-winning architecture firm, WOHA Designs. 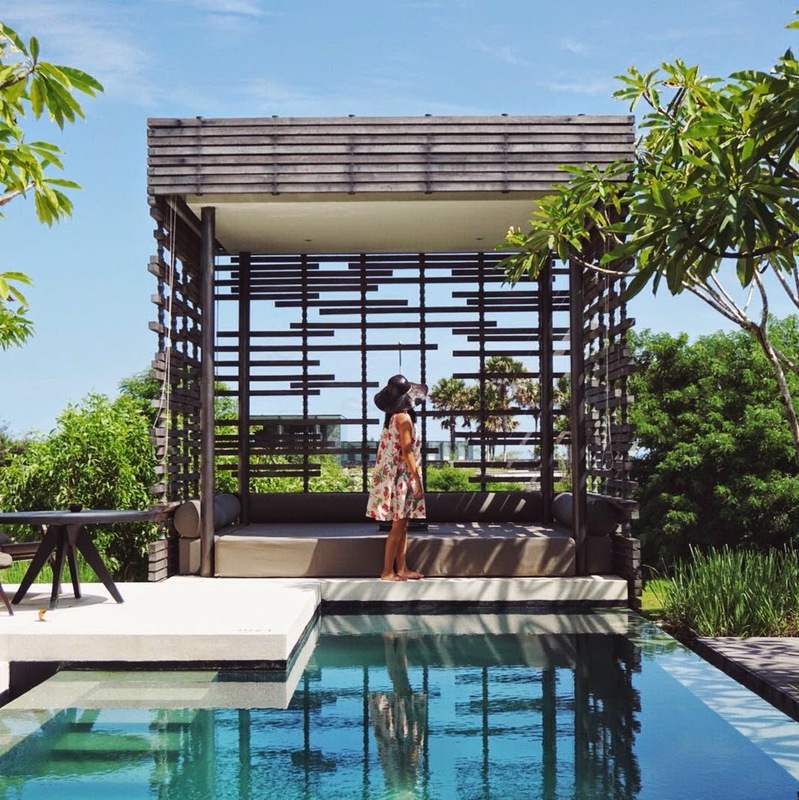 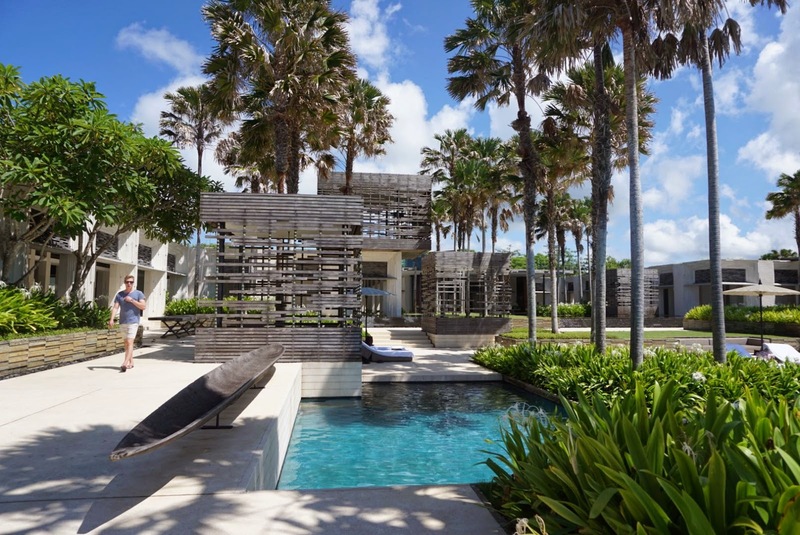 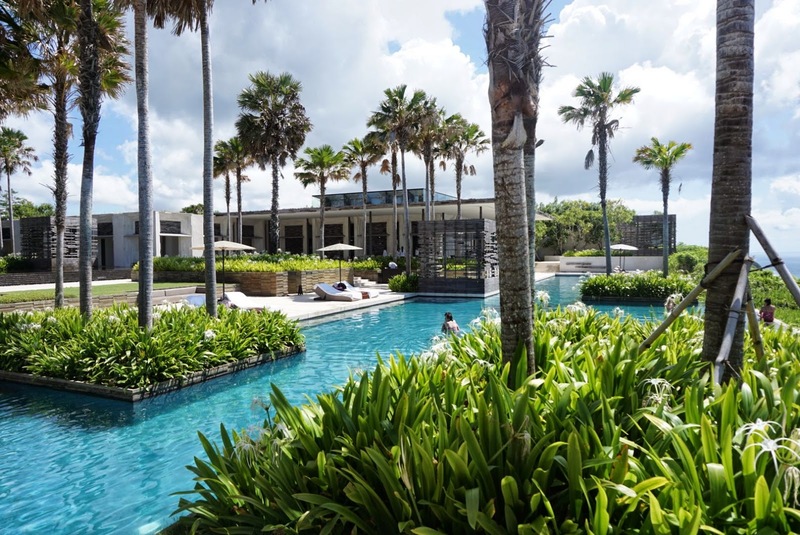 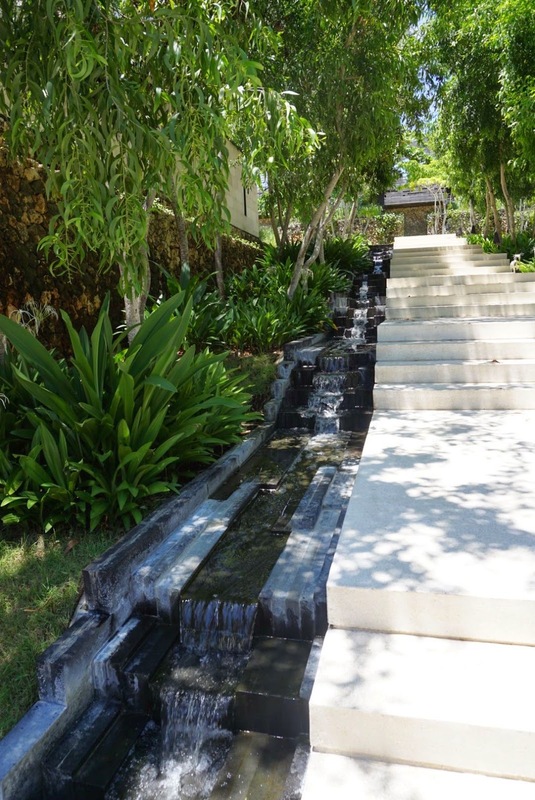 Following the Environmentally Sustainable Design principles embraced by Alila, the architect has integrated measures like water conservation with soaks and rain gardens, grey water recycling systems, and the use of local plants from the special Bali Savannah ecosystem. 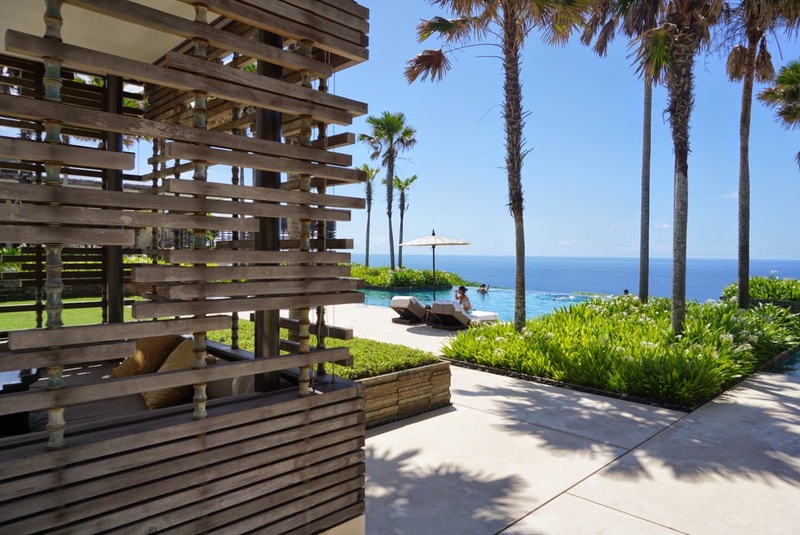 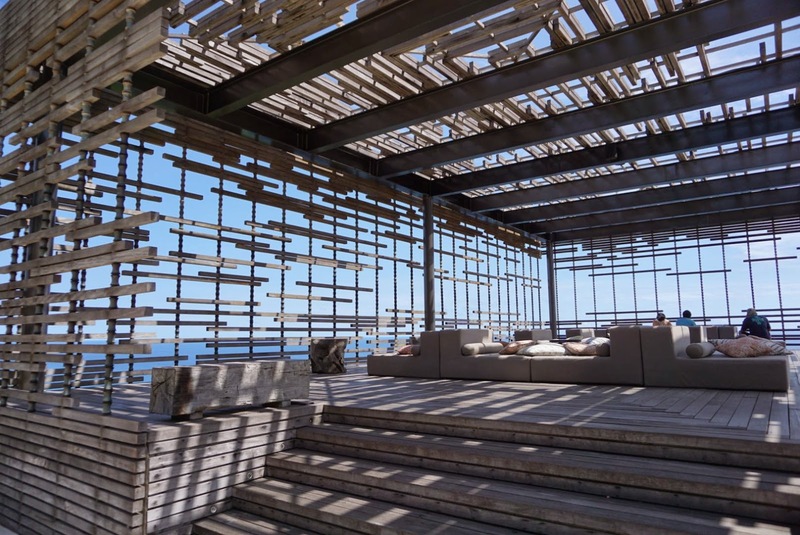 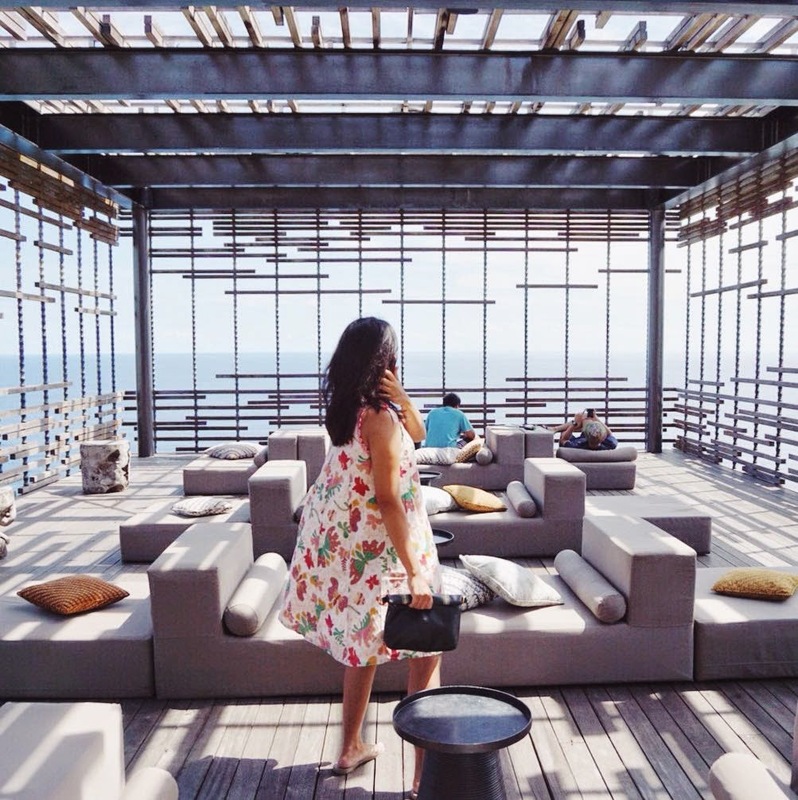 The most interesting part about Alila Villas Uluwatu is the stunning wood-slatted cabana lounge bar. 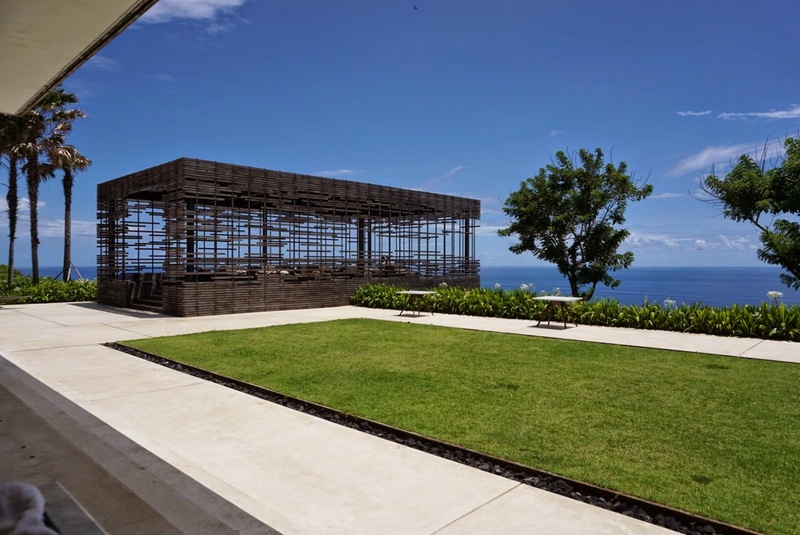 It is the part of "The Warung" Restaurant, and sometimes it also can be used as wedding venue. 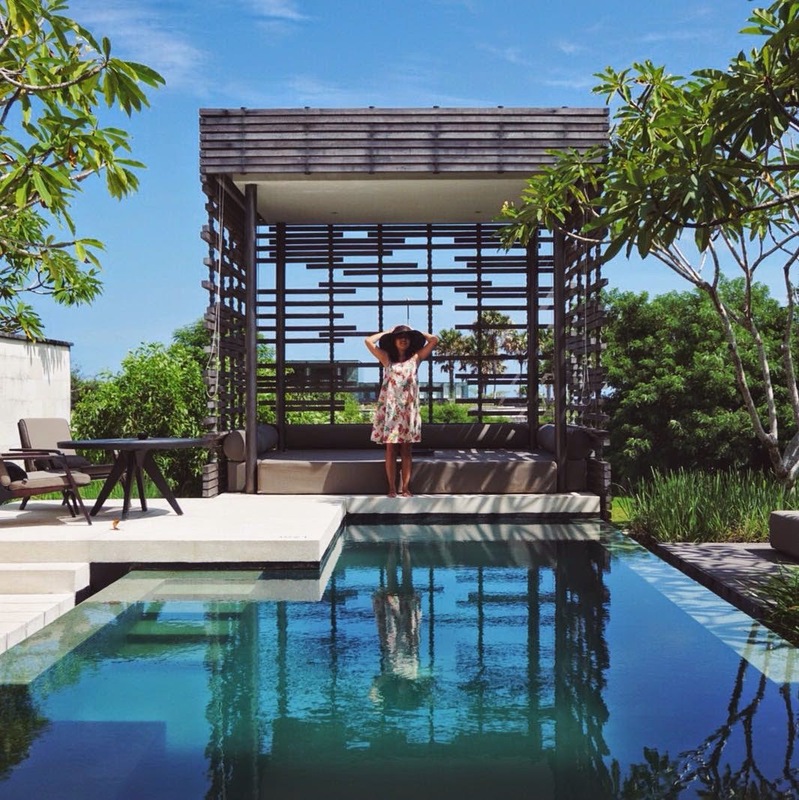 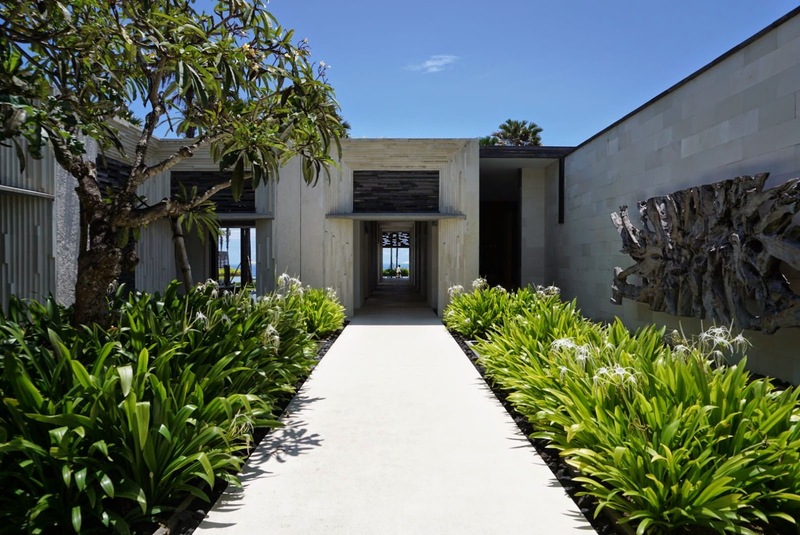 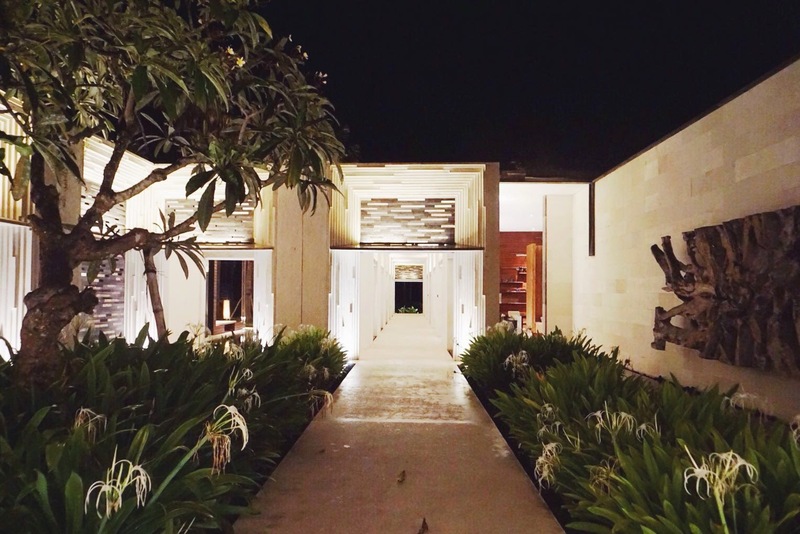 In their 84 villas, Alila Villas Uluwatu feature traditional Balinese accents in the building exterior and interior. 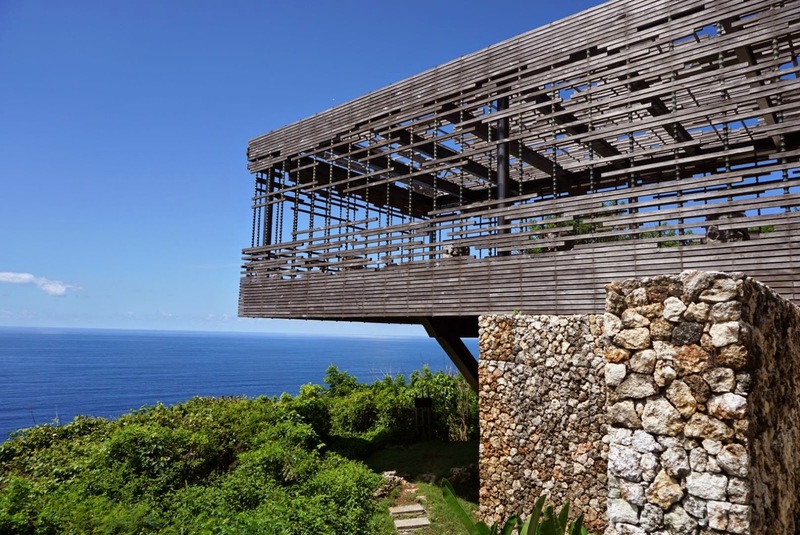 Lots of woodwork crafted from reclaimed ironwood, sustainably harvested plantation teak, and the use of local limestone. 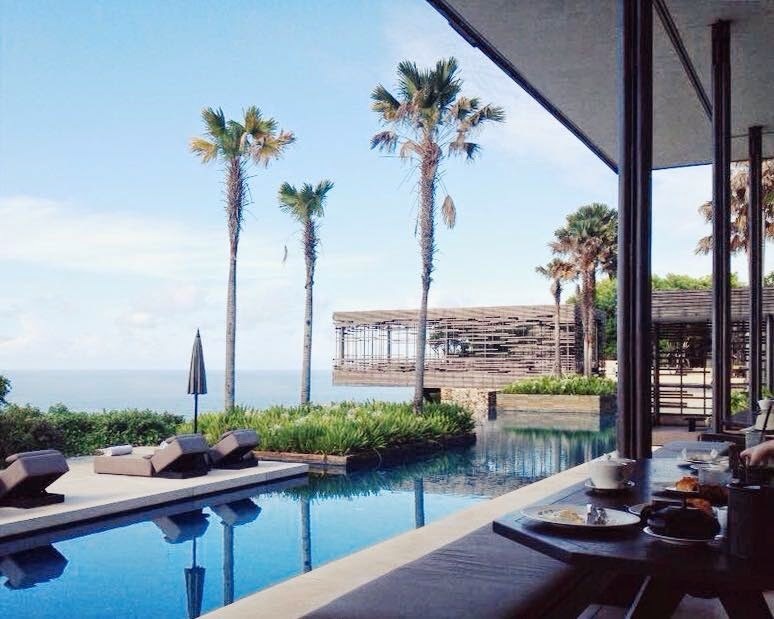 If you're into architecture, Alila Villas Uluwatu is one of architecture pieces that you should visit in your lifetime. 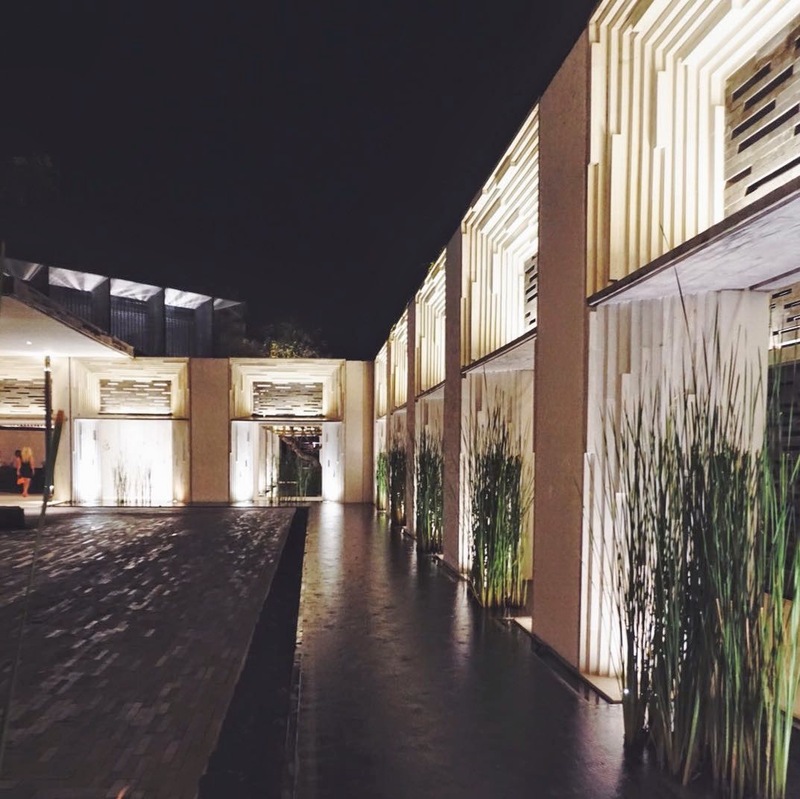 You can pay a visit here by staying or just dine at their restaurant. 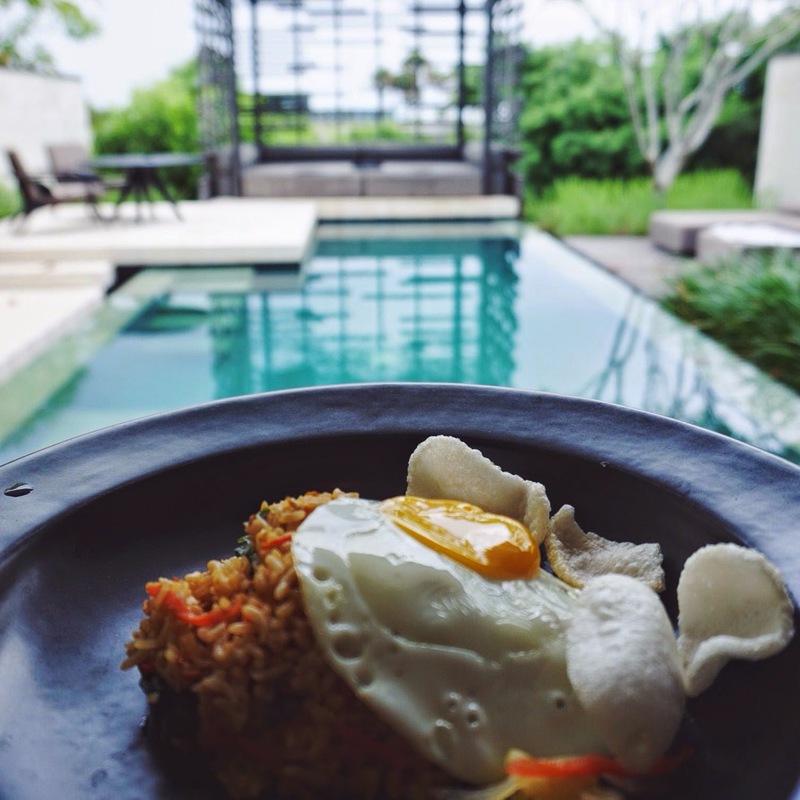 PS : If you wondering about what their restaurant looks like, pay a visit to wheretoeat-bali.com to read about their restaurant, "The Warung" and "Cire"